Jurassic World Deluxe T-REX Dinosaur Party Supplies Tableware and Decoration. The realistic T-rex Party supplies "Basic Pack" is featuring the most famous predator Tyranosaurus rex from Jurassic World. 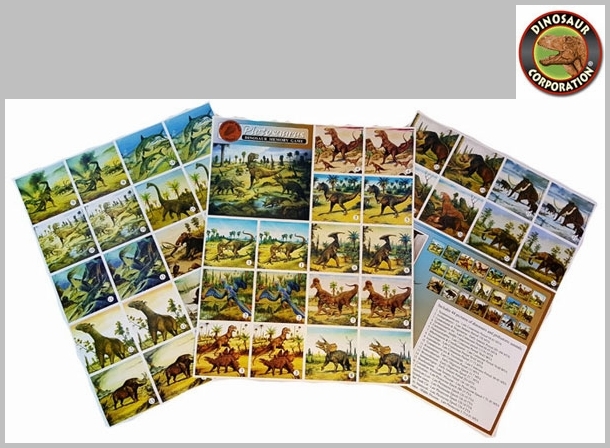 Kids friendly prehistoric dinosaurs Brachiosaurus, Triceratops, Stegosaurus and Stegosaurus are on Giant T-rex Happy Birthday Banner. 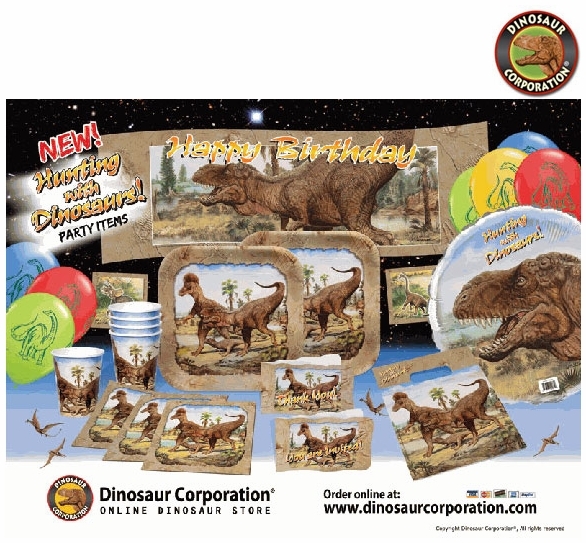 * Deluxe T-rex Exclusive Party Basic Pack for 8 guests. ($2.37 per guest). ** Customer review. We needed to find plates, treats, etc. for a 4 year old dinosaur birthday party. Everything was as advertised. Realistic dinosaur design of excellent quality! Our little guy loved it! Thanks. � Copyright Dinosaur Corporation, USA.